Hi Babes! 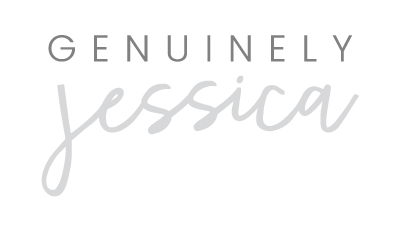 This is my first official post on my newly re-branded blog, Genuinely Jessica. I hope you all love the new name and design. I am more than happy with it and feel so good about this new direction! Thank you to one of my very best friends, Tasha, for working so hard on my logo & website. If you are in the market for either of these things, I highly recommend reaching out to her. Armoire Answers, my former blog, was also created by Tasha. Visit her instagram HERE and shoot her a DM- She will hook you up! If you haven’t yet, leave me a comment and let me know what you love most about the site and what you would like to see more of, as far a post/content! My birthday was March 18th, I turned 27! It was on a Saturday, but Justin works everyday so we decided to get up super early and grab Starbucks and take some quick photos before he had to go in. 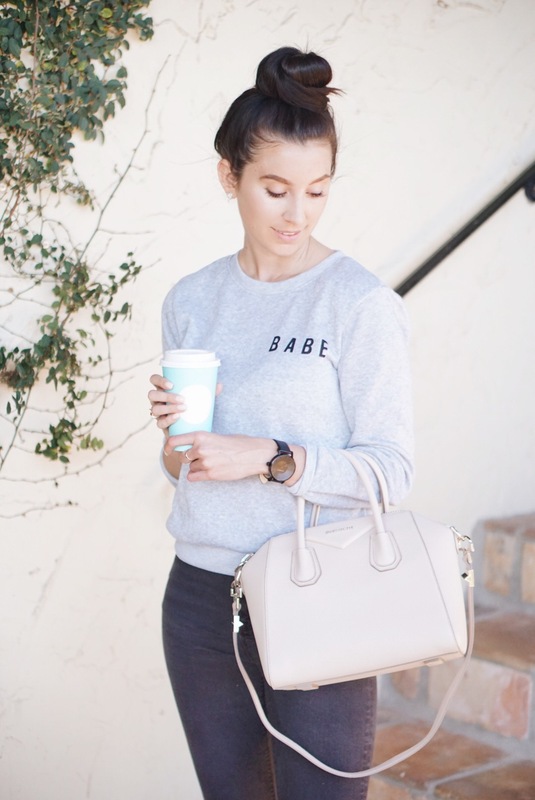 I ventured out in my new Babe Sweatshirt and some black holey jeans. If you guys haven’t noticed, I LOVE comfy chic style. I am usually always in jeans and a comfy top or casual layers. This sweatshirt is now a front-runner in the casual section of my closet. It’s very lightweight so even though its getting warmer outside, you can still incorporate it into your Spring wardrobes. Another great thing is how affordable it is- under $15. Below is all the information you need to get yourself one of these, as well as the rest of my look. 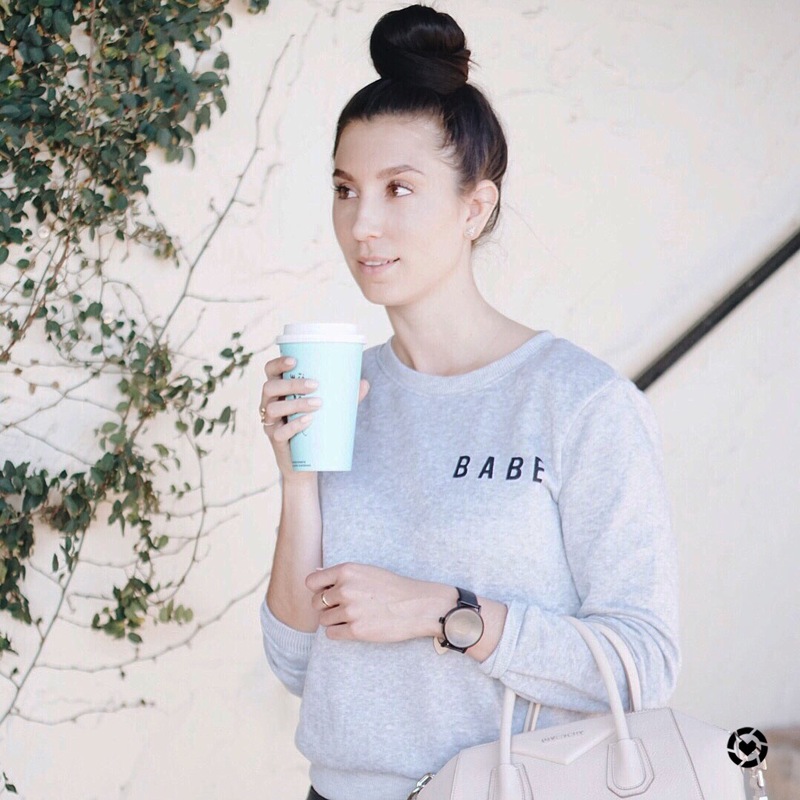 Shop my BABE Sweatshirt from ROMWE using the link below (Runs small, I am wearing a size M but could’ve done a L) A lot of their clothing is funky on sizing so if you purchase items, be sure to look at the size charts and specific details. 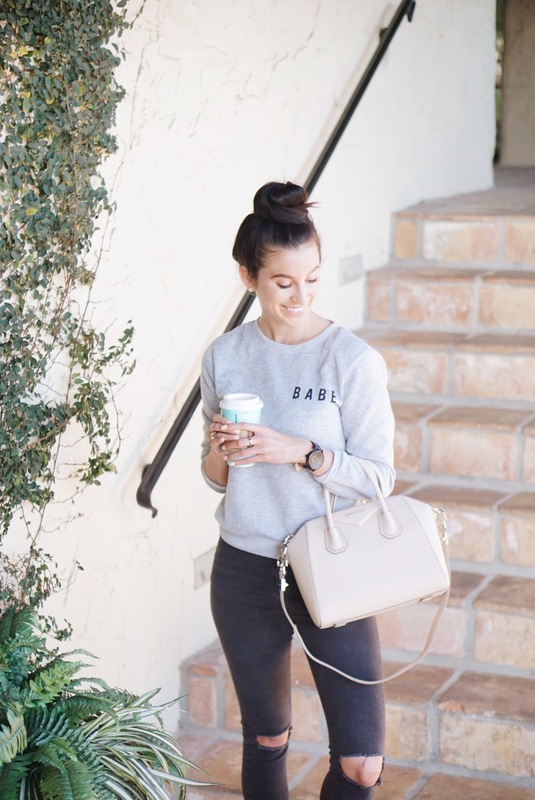 ROMWE sponsored the BABE Sweatshirt in this post. All opinions are my own.